The Purple Prince performs for his subjects. When mind, body and spirit unite to perform a single act that is called Zen activity. When such an activity takes place those who witness it are transported in kind. 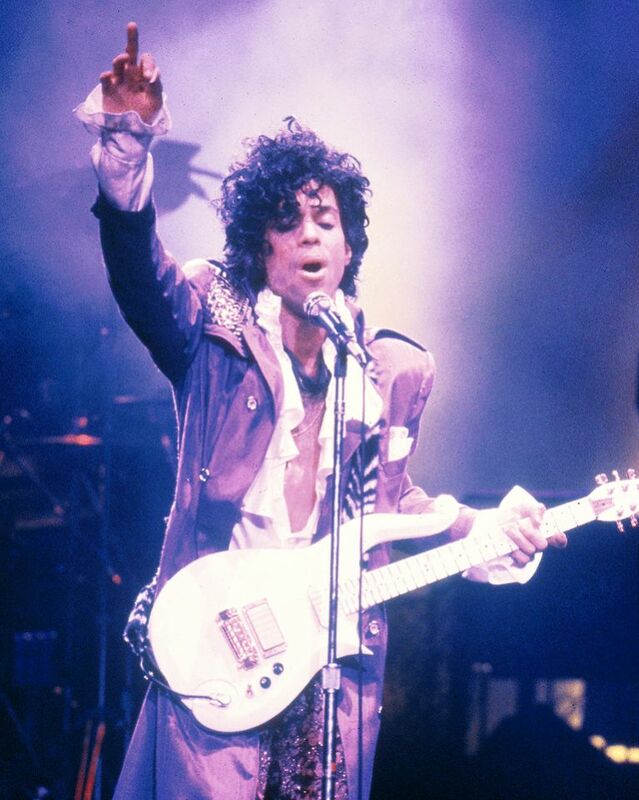 The shy-electric virtuoso we called, Prince produced this effect with every performance but no performance revealed his mastery of his art more to me than his guitar and vocal solo on "Purple Rain." Though, Prince did not hold back on any performance, his delivery of this signature song touched something in my own spirit and I recognized that he was a meijin (genius) in his field. Prince gave himself totally to his music, and as a result his audience could feel him spiritually through each note and movement of his body in dance. On April 21, 2016, the world learned that Prince Rogers Nelson was found unresponsive in the elevator of his Paisley Park recording studio. Moments later the airwaves became alive with his music. He was everywhere. He could be seen singing and dancing on every channel. Instead of the "elevator" taking us down it soon took us to the "Purple Dimension" where Prince is still very much alive. When a person gives all of himself to a cause or an art his or her spirit becomes electrified, capable of charging the very air around. Prince was so dedicated, so focused on music that one friend of his, a fellow musician, said, "He was music." We can learn from such a person. To achieve such a level of excellence Prince must have attained samadhi, the superior level of concentration that is said to be a prerequisite to enlightenment. One thing is certain, as Irish Guitarist, Leo Hughs pointed out to me on a FaceBook post, he played his guitar with mushin (no-mind). In such a state, a person taps into the realm of spirit, as a matter of course.The state of mushin would account for Prince's freedom of expression in other areas of his life, as well. He was not second-guessing himself in any area... This coveted state of mind permits a person to perform without thought or hindering reflections, much like a child. My friend, Philip Toshiro Sudo, author of Zen Guitar, wrote of the power of a single note to be a song. This is a testament to giving your all to a single act. Whether we recognize it or not, it is what we feel from the body of work of Prince. We might not be able to explain or define it but we are captivated by it. If we are mesmerized by Prince's performances, perhaps, we can learn to apply some of those principles that worked for him in our own lives. 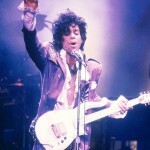 Prince acknowledged that his was a gift from God, and he exercised it freely. He said that he prayed every night but he did not ask God for much. He thanked him. God created the tiger and the sheep. Prince was a tiger on stage but his sheepish side was also apparent, and endearing. Prince studied the Bible. Though I am using Zen terms to highlight his ability, it is important to note that Zen is not the exclusive gift of any Religion or expression. Where a person applies concentration, meditation, self-surrender and giving to his life he could produce a Zen-like effect whether that person be a Christian, Jew, Muslim, Buddhist or other because Zen is the personal and direct activity of an individual who has tapped into the higher nature of being. It transcends language even while using words, to touch something deeper in us.In Prince, the conflict between spirituality and sexuality was resolved. He sang and danced the answer to this koan (a type of spiritual riddle not solvable by the intellect.). Every child born in this world will die to it one day but can we truly be alive in it. If we can dedicate ourselves to some art or cause with the fullness of our being we will be dynamically alive. We will be a blessing to others and to ourselves. Zen reminds us that "what makes our life good makes our death good also." Good is of God. We can be thankful when we experience it through the people and events we encounter. The Japanese Tea master raised serving tea to a spiritual level by his focus and demeanor. His artistry calmed the spirit of warriors. You can also raise your level of activity by giving yourself, first in surrender to God, our creator, then to your work. It is said that Zen activity is completely burned out activity...nothing is held back. Prince held nothing back from his music, and so I hold nothing back in acknowledging his mastery of his art...his gift to us. Surrender your will to God then h old nothing back. Only He knows what your mission is.